North Island Lodge is a floating lodge located just five minutes from some of the best fishing spots. Not only that but your boat is just steps from the breakfast table. Just suit up and be on your way! 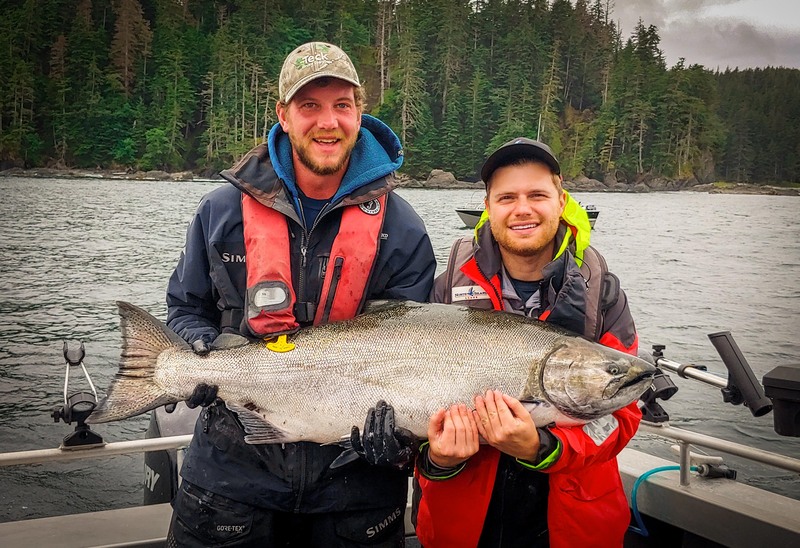 With a short ride to the fishing grounds, you can find beautiful chinook like this one – 48 lbs caught and released. The legacy of The Club’s inaugural executive chef, Walter Pelliccia, lives on at North Island Lodge. Chef Luke Mussato and his team adhere to Walter’s Italian inspired traditions, with delicious, comforting meals that feature large family-style platters of side dishes and carefully selected wine pairings. You’ll never go hungry. 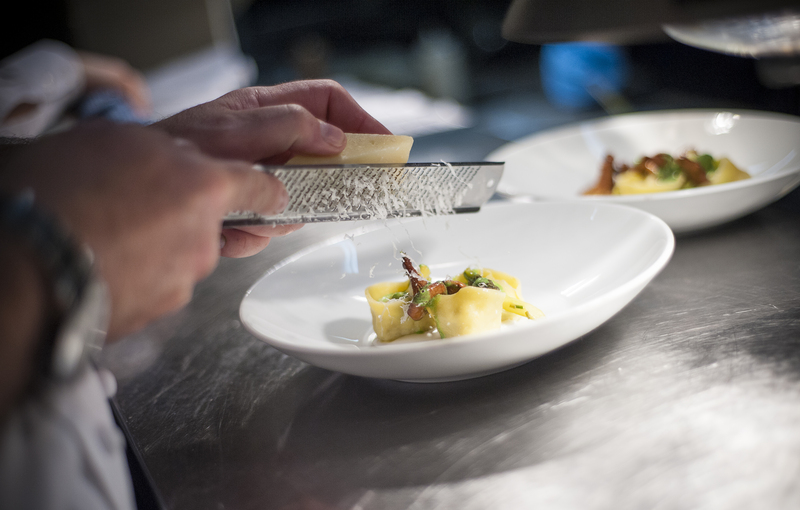 Enjoy gourmet meals prepared by our talented chefs. 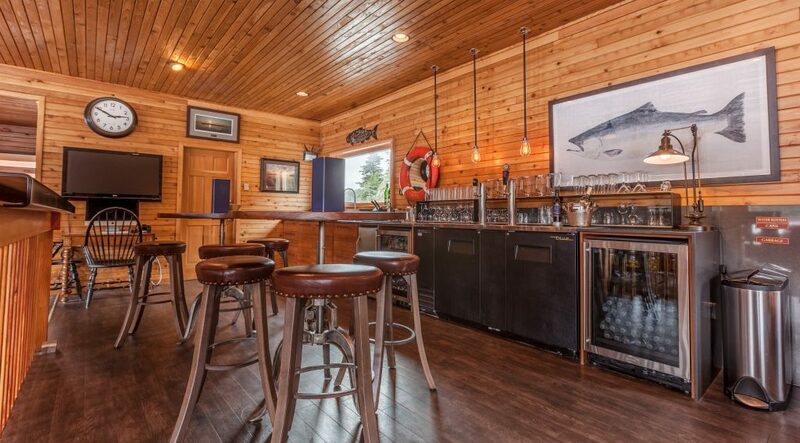 With an intimate space accommodating just 24 guests, North Island Lodge is the perfect place to relax and share stories with your fishing partners and other guests. Catch up on the latest news and sports with our large satellite TV in our bar area. Enjoy the excitement of the dock from the upstairs lounge as you watch your friends roll in and weigh their day’s catch. Swap fishing tales after an action-filled day on the water. Guided and self-guided packages are available on safe and reliable Eaglecraft and Northwest welded-aluminum fishing boats (18′, 21′ and 24′). 24′ Northwest boats custom-made for North Island Lodge. 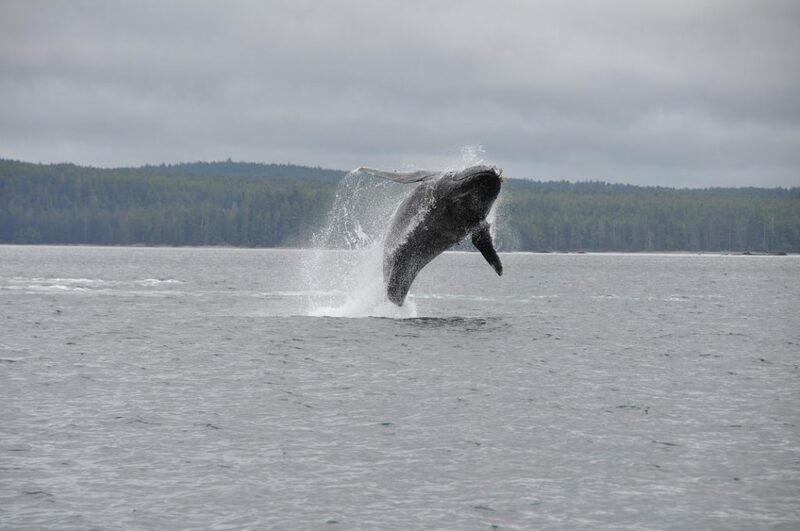 Killer whales (Orcas) and Humpbacks frequently cruise through the pass directly beside the lodge and can occasionally be seen from the dining room or the upstairs lounge. Crafty river otters commonly patrol the dock hoping for scrumptious fish scraps from guides at the cleaning table. Humpback putting on a whale of a show. 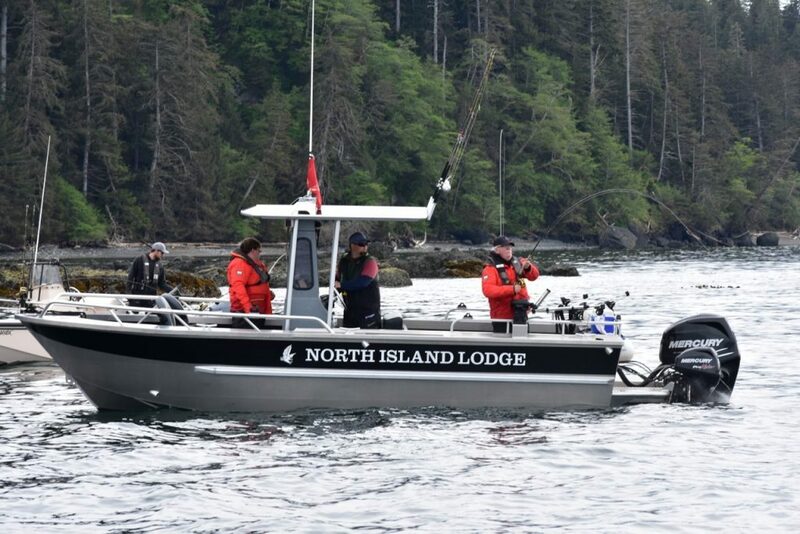 For more information on North Island Lodge, contact us today at 1-888-432-6666 or click here to fill out an online inquiry.